George Bernard Shaw is tonight's star on Turner Classic Movies. Major Barbara (1941), directed by Gabriel Pascal, and starring Rex Harrison and Wendy Hiller, is on right now. I've watched it a couple of times, but I haven't been able to really get into it. Even so, I thoroughly enjoyed both Robert Morley and Marie Lohr in supporting roles. Also of note, Deborah Kerr has what amounts to a bit part. The highly theatrical Caesar And Cleopatra (1945) offers two solid performances – Claude Rains as Caesar; Vivien Leigh as Cleopatra (right) – while Pygmalion (1938), co-directed by Anthony Asquith and Leslie Howard, is considered the best film adaptation of a Shaw play. Wendy Hiller, for her part, has been called the greatest Eliza Doolittle ever. Shaw won an Oscar for the film's screenplay – and was none too pleased. As the story goes, some time later Mary Pickford visited Shaw at his home and said she saw the golden statuette displayed on the mantel. If true, that means he eventually changed his mind about both the award and the Academy. Shaw shared the screenplay Oscar with Ian Dalrymple, Cecil Lewis, and W.P. Lipscomb, who were credited for the screen adaptation. A munitions manufacturer tries to reconcile with his revivalist daughter. Cast: Wendy Hiller, Rex Harrison, Robert Morley, Emlyn Williams Dir: Gabriel Pascal BW-121 min. Julius Caesar gives the famed Egyptian queen lessons in government. Cast: Vivien Leigh, Claude Rains, Stewart Granger, Flora Robson Dir: Gabriel Pascal C-128 min. A linguistics professor bets he can turn a flower girl into a lady by teaching her to speak properly. 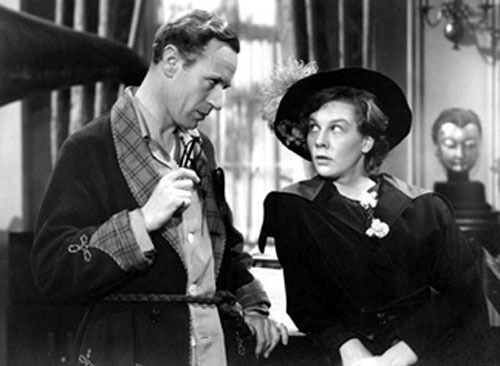 Cast: Leslie Howard, Wendy Hiller, Wilfrid Lawson, Marie Lohr Dir: Anthony Asquith BW-96 min. A preacher and a rebel leader change places during the Revolution. Cast: Burt Lancaster, Kirk Douglas, Laurence Olivier, Janette Scott Dir: Alexander Mackendrick BW-83 min. When the world's richest woman falls for an ascetic Indian doctor, they plan a test to decide whose dreams will come true. Cast: Sophia Loren, Peter Sellers, Alastair Sim, Vittorio De Sica Dir: Anthony Asquith C-86 min.